Many of you have doubtless reached the same conclusion I have, which is that the normal processes of common sense and rational thought don't seem to fully apply within the film industry. Matters of individual taste and personal opinion notwithstanding, it is no great challenge to compile an objective catalogue of irrefutable lapses in judgement. This extends from the relatively minute, such as specific dialogue and individual scenes, through matters of increasing magnitude, such as casting decisions and narrative flaws, to the very top, where we cannot help but question the very existence of the project as a whole. Indeed, the film industry has always been rife with instances of questionable judgement, where our natural inclination to wonder precisely what they were thinking yields no rational or satisfying answer. While we might recognise this as an unwelcome truth, however, this should not be taken as grounds to complacently accept it. The recent release of a trailer for the Guy Ritchie adaptation of Sherlock Holmes presents it as a case-study in precisely this sort of faulty reasoning. And while my ire is perhaps more keen in regard to this particular example, owing to the fact that I am a keen devotee of the original works by Arthur Conan Doyle, I am resolved not to let this article devolve into the pointless nit-picking of a wronged fan. Such an engagement would, in fact, obscure the much deeper and more resounding argument to be made against projects of this nature. In order to reach this point we should begin by looking at how the powers-that-be might conceivably believe that such a project would make good sense in the first place. What this doesn't take into account, however, is the fact that there are, in the broadest terms, two distinctly different incarnations of Sherlock Holmes. 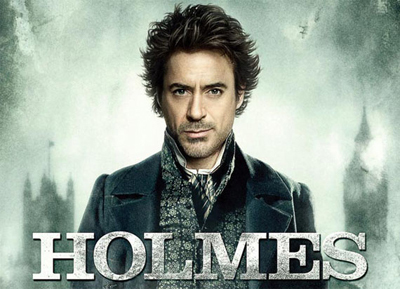 For those who have little or no direct knowledge of the character in literature or film, the Holmes archetype is nevertheless such a pervasive figure in popular culture as to leave many unsure whether he is indeed fictional or an actual historical personage. Falling into the opposing category are those with some degree of familiarity with the source material, either gleaned directly from the original literature, or pieced together through the multitude of film and television adaptations, whose level of fidelity varies significantly. To the former group, Sherlock Holmes is a memorable quip and a mental image, while to the latter he is a more rounded character, with a defined personality and other distinctive traits. Both groups with instantly recognise the name, but there is a vast discrepancy in terms of how each will respond to departure from the established material. With any adaptation there comes a point where straying too far from the source material begins to raise questions about the validity of maintaining any tenuous link at all. A familiar name or two sown throughout an utterly unrecognisable field does not an adaptation make, and in so doing the project is effectively denied an opportunity to stand on its own merits. As a fan of the Arthur Conan Doyle stories I would happily subject myself to The Adventures of Silas Harper: Consulting Detective and Amateur Pugilist Extraordinaire, and probably enjoy it as much as I did the popular resurrection of The Mummy, but not if the project attempts to pass itself off as Sherlock Holmes, with no justification other than for the sake of expedient marketing.An immediate point of attraction for any project dealing with Sherlock Holmes is the instant, albeit vague, recognition carried by the name. As far as fictional celebrities are concerned, the extent to which this particular character has infiltrated the common cultural milieu is almost without parallel, with the likes of Dracula and Frankenstein perhaps coming closest. Mention the name to someone in any setting and you are almost certain to evoke the mental image of a hawkish man in a chequered tan cloak and deerstalker hat, and a misquotation so ubiquitous that I need not even set it down here. In terms of fostering awareness for your project, Sherlock Holmes is a dream come true for any marketing department: it doesn't require a set up or explanation, simply because it commands immediate recognition. In short, the majority will probably not notice, the purists will resent it, and those who fall somewhere in between will make up their mind based on the individual merits of the film. And this is where we encounter the inherent flaw in this kind of approach, for in employing a figure so widely recognised, it is those to whom the name signifies the most that are also most likely to resent the radical departures. To argue that recognition of the name itself somehow offsets this outcome is a total nonsense. 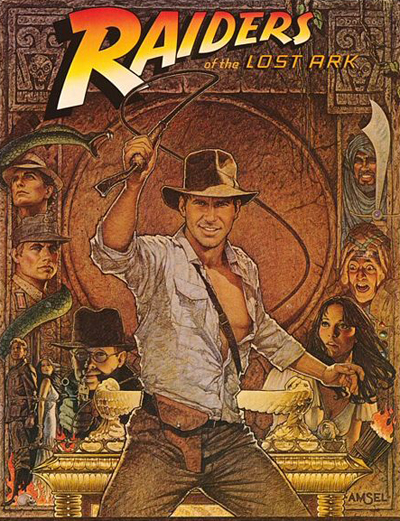 The first Indiana Jones might have easily passed itself off as a 'reinterpretation' or 'modernisation' of the established Allan Quatermain character, in order to bolster the level of recognition inherent in the name. The fact that this wasn't done means that dedicated Quatermain fans are afforded sufficient leeway to approach the film as a simple homage, rather than incur the backlash of being seen as a rival or usurper of the name. Ultimately, this kind of approach boils down to a rather cynical and blatantly condescending attitude toward the common audience, assuming that people will only give credence to an established name and are therefore incapable of discerning the value of an original premise based on its own merits. Indiana Jones and countless other examples indicate otherwise.